This semester, I’m teaching a course titled Suffering, Faith, and Theodicy. One of the real challenges in teaching such a course to those of us who live in the so-called first world is the profound levels of apathy that exist towards the depths and breadth of suffering and evil in our world. Where such is acknowledged, it is often passed off, as Douglas John Hall observes, as ‘a consequence of human ignorance, indecisiveness, superstition, and lack of scientific knowledge, intuitive or resourcefulness’. For those of us who have invested most deeply in the modernity project, however, this logic becomes more difficult to maintain, particularly when we are talking about some of the most intellectually- and industrially-sophisticated societies in the world (e.g., Germany and Japan who are collectively responsible for the deaths of about 48 million people between 1939 and 1945, or the United States whose <5% of the world’s population owns roughly 35–50% of the world’s civilian-owned guns by which, on average, 32 people are murdered each day (67% of all homicides involve a gun), 8 of whom are under the age of 20), or when evil comes to visit our homes, or our bodies. Public apathy characterises my own country, Australia, too on a host of levels; most obviously in regard to Aboriginal Australians, asylum seekers, respect for the environment, and high abortion and increasingly-high incarceration rates, to name a few areas where the levels of publicly-available information is horribly unmatched by the levels of public concern, let alone levels of real shared pathos. Recently, I watched Alain de Botton’s Wheeler Centre presentation on news, and was particularly struck by his comments on the important work undertaken by photojournalists. All of this got me thinking about some work by great American essayist and cultural theorist Susan Sontag who rails against those she refers to as ‘citizens of modernity, consumers of violence as spectacle, adepts of proximity without risk’ who ‘will do anything to keep themselves from being moved’. Mass media, she argues, absurdly converts news into entertainment, and wrongly assumes that everyone is a mere spectator, a consumer of news, and a patronizer of reality, the fruit of which is to make us apathetic. 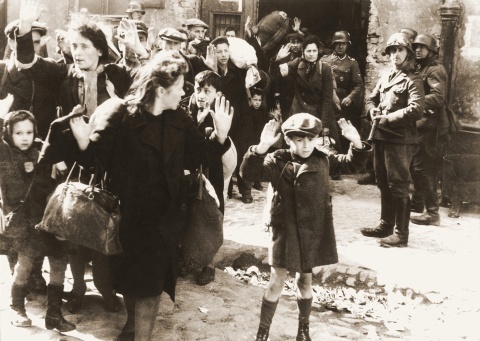 Certain photographs – emblems of suffering, such as the snapshot of the little boy in the Warsaw Ghetto in 1943, his hands raised, being herded to the transport to a death camp – can be used like memento mori, as objects of contemplation to deepen one’s sense of reality; as secular icons, if you will. But that would seem to demand the equivalent of a sacred or meditative space in which to look at them. Space reserved for being serious is hard to come by in a modern society, whose chief model of a public space is the mega-store (which may also be an airport or a museum). At the other extreme, while many have argued that it is incumbent upon human persons and societies to avail themselves of every moral measure available to us to resist evil and suffering in all its forms, the fact is that sometimes there can be an apotheosis, a glorification, of acceptance of these realities. So Sontag describes ours as ‘an age which consciously pursues health, and yet only believes in the reality of sickness. The truths we respect are those born of affliction. We measure truth in terms of the cost to the writer in suffering – rather than by the standard of an objective truth to which a writer’s words correspond. Each of our truths must have a martyr’. And yet, we are unsure – understandably perhaps – of what to make of suffering in itself, and the bombardment of photographic images, for example, has not helped us to better engage with the problem in suffering in ways that are more true to the deepest truths of being human. In a no less remarkable book, On Photography, Sontag argued that ‘images anesthetize’, that ‘photographed images of suffering’ can corrupt the ‘conscience and the ability to be compassionate’ by making tragic events seem less real. She writes: ‘At the time of the first photographs of the Nazi camps, there was nothing banal about these images. After 30 years, a saturation point may have been reached. In these last decades, “concerned” photography has done at least as much to deaden conscience as to arouse it’. Flooded with images of the sort that once used to shock and arouse indignation, we are losing our capacity to react. Compassion, stretched to its limits, is going numb. So runs the familiar diagnosis. But what is really being asked for here? That images of carnage be cut back to, say, once a week? … There isn’t going to be an ecology of images. No Committee of Guardians is going to ration horror, to keep fresh its ability to shock. And the horrors themselves are not going to abate. So whereas in On Photography she suggests that photographers were war tourists and voyeurs, choosing to record rather than to intervene in the suffering they witnessed, and she suggests that people who look at such photographs were trying to gain semblences of knowledge and wisdom of the world through ‘some kind of sentimentalism, whether cynical or humanist’, were mere spectators who had depersonalized their relationship with the world, when she comes later to write Regarding the Pain of Others she acknowledges that in the case, say, of the siege of Sarajevo, ‘pursuing a good story was not the only motive for the avidity and the courage of the photojournalists’ covering the story, noting that ‘the Sarajevans did want their plight to be recorded in photographs: victims are interested in the representation of their own sufferings’. As for those who consume such images, she writes: ‘Let the atrocious images haunt us. Even if they are only tokens, and cannot possibly encompass most of the reality to which they refer, they still perform a vital function. The images say: This is what human beings are capable of doing – may volunteer to do, enthusiastically, self-righteously. Don’t forget’. That we are not totally transformed, that we can turn away, turn the page, switch the channel, does not impugn the ethical values of an assault by images. It is not a defect that we are not seared, that we do not suffer enough, when we see these images. Neither is the photograph supposed to repair our ignorance about the history and cause of the suffering it picks out and frames. Such images cannot be more than an invitation to pay attention, to reflect, to learn, to examine the rationalizations for mass suffering offered by established powers. ‘An invitation to pay attention’. What a wonderful definition of the gift that good photojournalists (as opposed to that growing tribe of imbedded media-propagandists!) provide for us. May they flourish, and may their work be better valued, here in Australia as well as elsewhere. Thanks for those stimulating reflections Jason! I’ve only just seen this, Jason. It’s certainly a thought-provoking piece. One of the problems I find with trying to deal with the endless amount of suffering that’s recorded each day and much of which is then passed on to us in newspapers or other media, is that we *do* experience a kind of helplessness. The problem of suffering is so overwhelming that on a grand scale it goes beyond our ability to cope with it. I don’t think that’s entirely a case of apathy. I wonder if it’s more that in the modern world, particularly since photography become such a crucial part of reporting, and when ‘news’ about deaths became so frequent, even though those deaths were often thousands of miles away, we have no real way to cope because these issues are out of our normal ability to change or heal. Newspapers in particular seem to focus increasingly on reporting the numbers of deaths by accident or terrorism of people in different parts of the world. In an earlier part of history we would never have known about these. I’m not sure that knowing about them helps us much to come to terms with them. The recent murders of the French cartoonists is maybe a case in point: there was a *huge* outpouring of grief, anger, rage and so on when this happened. (Whether the cartoonists, in a sense, deserved all this, is another question.) At the same time, Syrians, Iraqis, Christians in Arab countries continued to die day by day at the hands of terrorists with similar motives but apart from brief mentions in the media, were mostly overlooked. Their deaths were as violent and horrific as those of the cartoonists. Maybe we have to focus on one particular thing as a kind of icon (I’m sure there’s a better word but I can’t find it at the moment) and give the best of our attention to that. Certainly we will always give more attention to the violent or accidental death of someone we know compared to that of people who are not even names to us. Not sure that I’ve said what I’m trying to say!